Mandarin speaker Caroline Redhead is a Partner in Burnetts’ Corporate department and a member of our well-regarded Education team. She is based in Burnetts’ Penrith office. Qualified in Hong Kong as well as England and Wales, Caroline began her career in the corporate/commercial department of Newcastle’s Dickinson Dees before moving to the Hong Kong office of the international law firm Slaughter and May. Whilst at Slaughter and May she continued to develop her corporate experience and was part of the legal team scooping the International Financing Review’s Asian Equity Deal of the Year Award for the dual listing (London and Hong Kong) of a Chinese power company. Caroline has recently re-joined Burnetts after a family move took her to Hong Kong. Her areas of expertise are commercial and charitable matters, with a focus on work for the education sector. 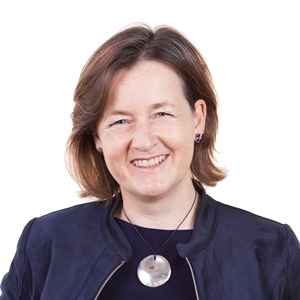 Caroline advises on commercial contracts, IT contracts, data protection (including GDPR), e-commerce, intellectual property issues, charity law issues, and general governance matters. She is a member of the Society for Computers and Law and the Charity Law Association. Caroline has a degree in Chinese from the University of Durham and has a particular interest in the Far East. She also sits on the board of St. John’s Hospice in Lancaster and is currently working towards a PhD in Palliative Care as a postgraduate student of Lancaster University. Her particular area of interest is decision-making for people who lack, or are losing, capacity to decide for themselves. Caroline lives in the Lake District and enjoys getting out on the fells whenever possible.